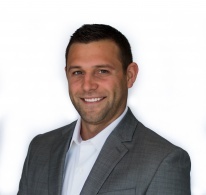 Edwardsville, Ill., Sept. 15, 2017 - Berkshire Hathaway HomeServices Elite Properties announced today that Nick Giacoletto has joined their real estate team of professionals and will be working in the Edwardsville location. Giacoletto is originally from the Madison County area and is very familiar with the communities that make the Metro-East so special. He graduated from the University of Missouri with a degree in Business Administration and has previous experience working for a mortgage company. He is very excited to be a new addition to the growing Berkshire Hathaway HomeServices Elite Properties team. Julie Lading, Vice President and Managing Broker of both Berkshire Hathaway HomeServices Elite Properties locations, looks forward to working with Giacoletto. “With years of experience working in the mortgage industry, he has developed a strong background in real estate and will be a great resource to his clients. Finding a ‘forever home’ will be a fun and rewarding experience for our clients when working with Nick,” said Lading. Berkshire Hathaway HomeServices Elite Properties is an independently owned and operated affiliate of BHHS Affiliates, LLC. With two local offices in Edwardsville and Fairview Heights, Ill., their local real estate agents have the ability to meet the diverse service needs of clients in the Metro-East and those relocating to the Metro-East area. To start the process of buying or selling a home, go to https://bhhseliteproperties.com or call 618-628-2400 or 618-655-4100.